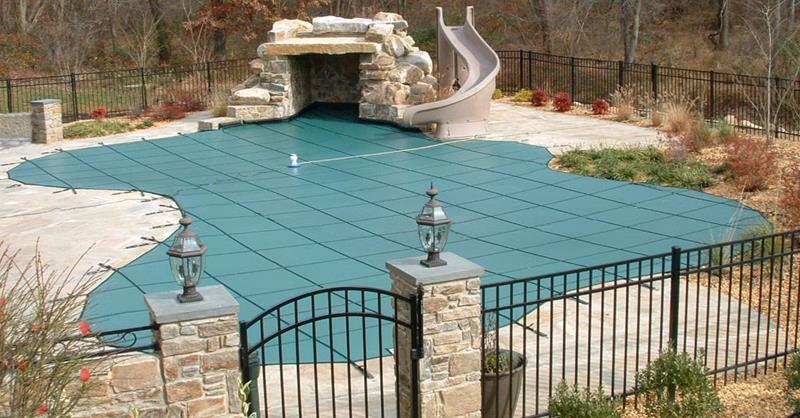 So much time and effort go into maintaining your pool, but have you considered the best inground pool safety covers? 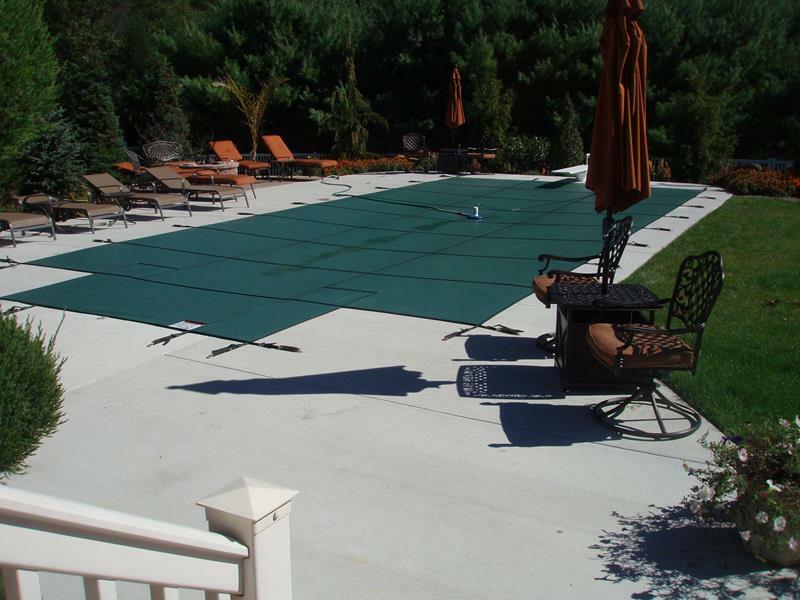 When it comes to protecting your much-loved investment, you need Mid State’s selection of winter pool covers. 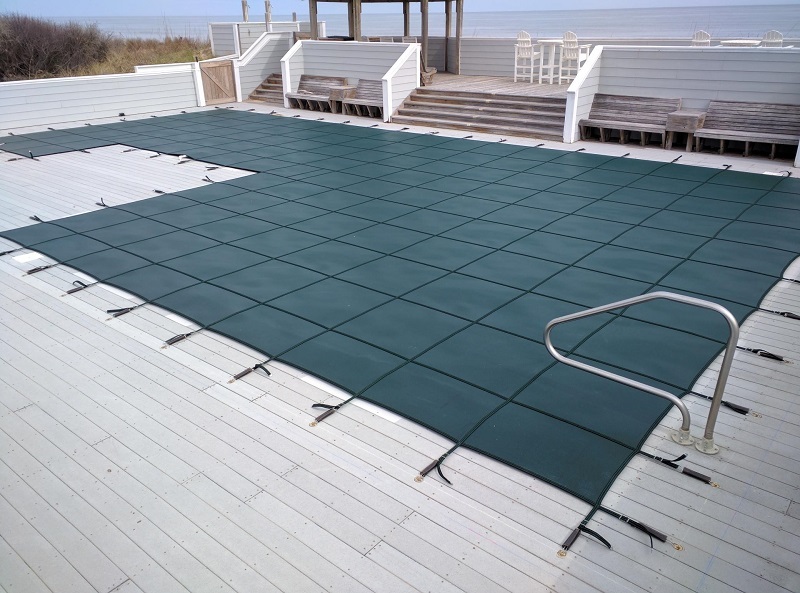 For more than 60 years, we’ve been installing inground pool covers designed to extend the life of swimming pools across New Jersey and New York. 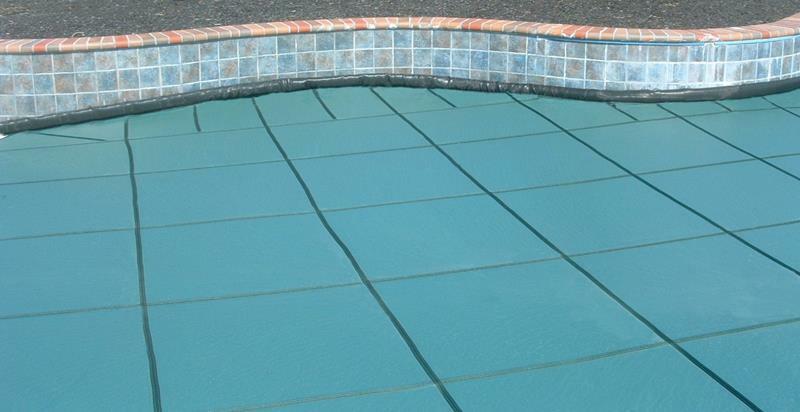 Our pool experts take precise measurements to customize pool safety covers that are triple-stitched with a double webbing system and UV inhibitors to protect against sun damage. 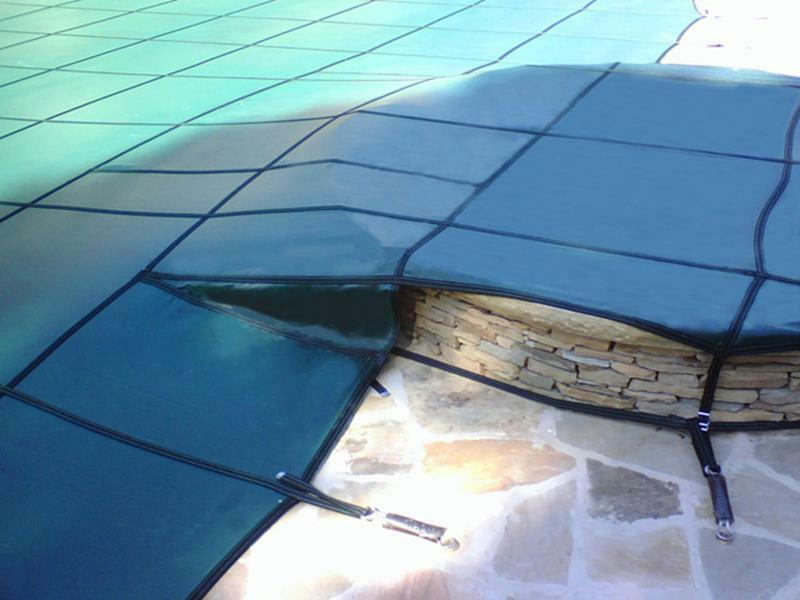 We offer all the best brands of inground pool safety covers, including Garrett, Loop Loc, and Merlin, to shield your pool from the damaging effects of fall and winter seasons, keeping leaves and other debris where they belong – out of your pool. This makes opening your pool in the springtime quick and easy. 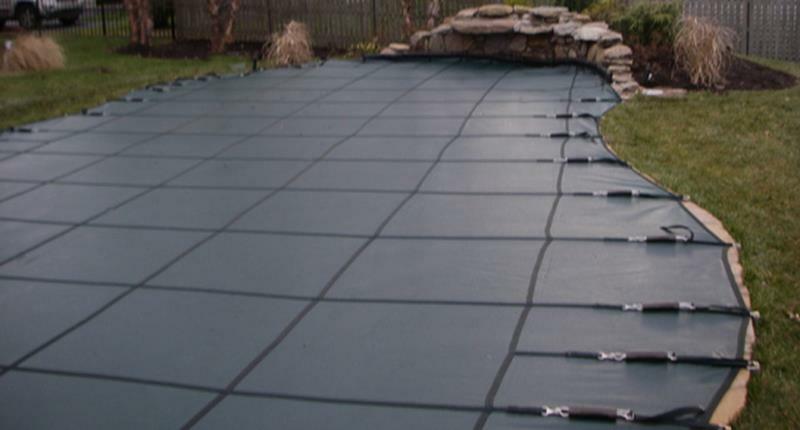 Our winter pool covers are crafted with a tamper-resistant barrier to help you protect children, pets and wandering wildlife from the dangers of an unsecured pool. They’re designed to conform to the stringent safety performance standards, and offer strength and security that provide the ultimate in protection and peace of mind. Whether your pool is a simple shape or complex design, you get a custom fit designed for your needs. 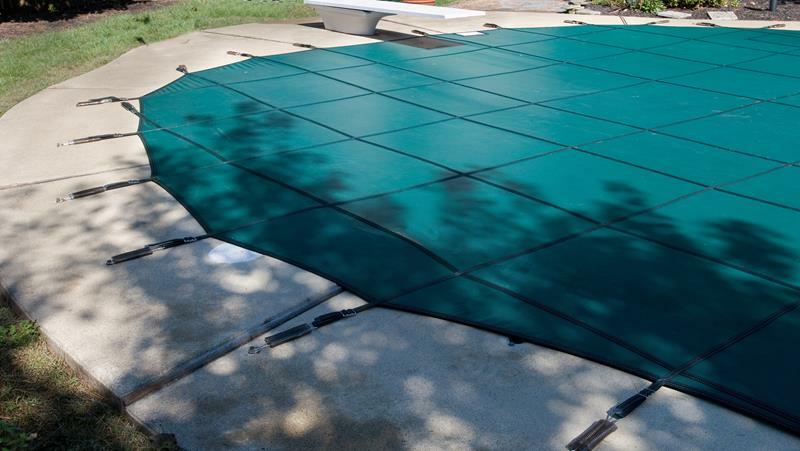 And with a triple-stitched double webbing system stretching across the entire length, width and perimeter of our inground pool covers, you can count on durability and strength. Plus, your cover is kept properly tensioned by all USA-made, non-corrosive, stainless steel and brass hardware. 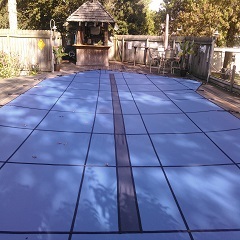 If you want the best winter pool covers, you want Mid State Pool Liners. 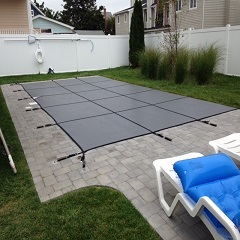 Visit us at 323 Old Bridge Turnpike, East Brunswick, NJ, or call 732-390-8080 for a free estimate. In the meantime, browse our selection below.